Many Bites & Stings have mild reactions; however, some bites and stings can have serious consequences, if untreated. Most stings aren’t fatal but few insects do carry fatal diseases, such as: West Nile virus or Lyme disease. If severe reactions (anaphylaxis) are present, these are some symptoms you should look for: lowered blood pressure, abdominal pain, difficulty breathing, swelling, redness, vomiting and nausea. Mild reactions: use universal precautions, remove the stinger, apply a cold pack, give the patient a pain reliever, and use ointment, such as: Benadryl, or any antihistamine, if necessary. Mild allergic reactions are: diarrhea, swelling, cramps, nausea and vomiting. Severe reactions: difficulty breathing, swelling (lips, throat, etc…), nausea, vomiting, hives, rapid heart beat and faintness and dizziness. 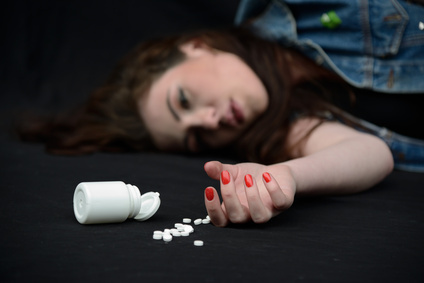 A Drug Overdose is a dose larger than the recommended assumption. There are many reactions that can occur, such as: sleepiness or unconsciousness, excitement with a rapid heart beat, hallucinations, impaired judgment and decision-making skills. Symptoms: death, unconsciousness, convulsions, delusional behavior, abnormal pupil size, difficulty breathing, nausea, non-reactive pupils, vomiting, sweating, numbness and violent aggressive behavior. Treatment: Check universal precautions. Check if there’s a pulse, if not, perform CPR. Keep the patient calm and reassured of his/her safety. Check for any shock symptoms. For seizures and convulsions apply first-aid. Monitor vital signs. Make sure to document any and all drugs taken and keep the container and/or label. If a Poisoning is suspected make sure to call the National Capital Poison Center at: 1-800-222-1222. Signs of Poisoning: vomiting, difficulty breathing, sleepiness, confusion, burns (redness) around the mouth, chemical odors out from the mouth and burns on clothing or skin. For poison ingestion do not administer anything by mouth unless advised to do so by the PCC or EMS personnel. Treatment: make sure to take the patient outside for fresh air. Have the patient flush out his/her mouth. Make sure to read the label of the chemicals that were induced and read the instructions for poisoning. Flush the patient’s eyes and/or have the skin cleansed. If the patient isn’t breathing perform CPR. If the patient needs medical attention make sure to give the container, label and/or pills to the Emergency Medical Services (EMS) personnel.